Deptford Township is the county's third most populated municipality, but it's now only a small fraction of what it once was. The old township, incorporated in 1695, comprised some 106 square miles and included what today is West Deptford, Washington Township, Monroe, Westville, Woodbury and Woodbury Heights. In contrast, today's township is less than 18 square miles. Deptford, which took its name from a small town in Kentshire, England, was one of the original townships of Gloucester County. It was settled in 1623 by the Dutch under Cornelius Jacobse Mey and was later claimed by the Swedes and the Finns before coming under British control. According to the book Under Four Flags, a history of Gloucester County published in 1965, Deptford became a true melting pot as people of many different cultures and religions settled in the township. The township's vast wilderness in the 1700s provided excellent hunting grounds for the Gloucester Fox Hunting Club, which had freedom of the fields from October 10 through April 15. 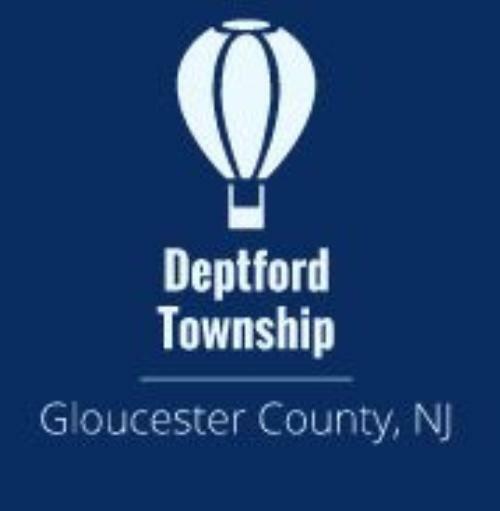 Today, Deptford is comprised of many sections, including Almonesson, Jericho, New Sharon, Oak Valley, Westville Grove, Cooper Village, Blackwood Terrace, Hammond Heights, Lake Tract, Woodbury Terrace, Woodbury Gardens, Country Club Estates and Good Intent. According to Under Four Flags, these settlements each have a rich history. Almonesson was founded in 1789 by Daniel Lamb and had several names, including Lambtown, Cattell Town, Fox Run, Limber Bridge, and Jenningsville. Almonesson is a Lenape word that means ''Young Fox Place.'' Almonesson was home to several original grist mills. It was known locally as a major ice producer each winter. In the late 1800s, the old grist mill site was made into a park and the mill pond was renamed Lake Almonesson. Sunset Park became a place for picnickers, dances and concerts. The Jericho section, which lies just south of Woodbury Heights and north of Cattell Road, was named for the ancient city in Palestine. It was settled in 1847 by John Dorsey, a pioneer who purchased 13 acres. The New Sharon section, in the vicinity of Tanyard Road and Delsea Drive, was originally known in 1847 as Horseheads, and was also known as Monongahela. It became known as New Sharon in 1917, also after an area of Palestine. In comparison, the Oak Valley section, east of Route 45 and bordered by Woodbury Heights and Wenonah, is a more modern community. It's heavy mix of cape cod, ranch and split-level styles homes date back to the late 1950s and early 1960s. It was created on the site of the old Oak Valley Country Club. The township's trademark hot-air balloon logo used today is no accident. In 1793, Jean Pierre Blanchard left Philadelphia before an audience of President George Washington and other dignitaries in America's first aerial flight. Blanchard traveled 15 miles propelled by a breeze before landing in a Deptford clearing about 46 minutes after take-off. 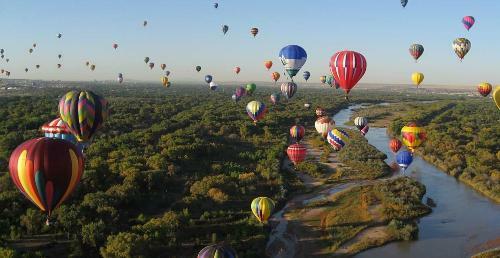 Today, a balloon adorns municipal signs, water towers and stationery used in the township. It was after World War II that the township's population began to explode as neighborhoods arose in Woodbury Gardens, Hammond Heights, Lake Tract, Country Club Estates and Cooper Village, as well as Oak Valley. In 1960, Deptford recorded 17,871 residents. According to a 2000 U.S. Census estimate, 26,763 people now call Deptford home. In August 1975, the Deptford Mall opened, forever changing retail shopping habits, not only in Deptford but in nearby shopping districts such as Woodbury, Blackwood and Westville. The mall, still Gloucester County's only indoor regional shopping center, opened with three anchor stores - Sears, Bambergers and John Wanamaker - and 150 specialty stores. Today, the mall's anchors are JCPenney, Macys, Boscov's and Sears. It didn't take long for a retail explosion all around the perimeter of the mall to take shape. Now there are numerous strip shopping centers surrounding the mall, many featuring ''big box'' or ''category killer'' retailers as well as many restaurants and two multiplex cinemas.